Flowers always bring joy and color to the home. Spring is getting closer and we want to take it to the decoration of our house. In addition, not only through plants and flowers as such but in more original ways, too. For that reason, today I teach you two crafts that will help you to give a floral touch to your home. These are two proposals that we make from the Design Improvised blog and that I tell you below so you can customize them to your liking. As I always tell you, it is a base that will help you, then, make your own design as you prefer in terms of the type of flowers and colors chosen. We get down to work! The first craft consists of designing beautiful flower creations placed inside candle holders. The first thing we will do is get some flowers that you can take out of a garland, for example, a crown or buy them loose if you prefer. They have also used artificial succulents so that, in this way, you do not have to worry about the care of your design. The flowers are going to be placed on a foam structure in the shape of a cone. In it, you only have to introduce the stems of the succulents (which you can cut as best suits you so that they are at the height you need) and paste with hot glue the rest of the flowers. You can do it, as you like, you only have to realize that, afterward, everything will fit well inside the candleholder. You can complete your creation by adding smaller flowers and some green moss until the entire surface of the cone is covered. If you want to fill a smaller candleholder, you will only have to repeat the process but with smaller flowers and a smaller cone. In addition, if you feel like it, then add a support of LED flowers around to give a warmer touch. If you like love and flowers this decoration for your wall you will love it. It can be ideal to celebrate Valentine’s Day, although it is perfect at any time of the year. Choose the climbing vines flowers that you like the most, trying to have the most natural look possible. As for the colors, the same, total freedom to choose. Here they have opted for pink and purple tones and have piled five or six bouquets. Use a wire cutter to cut the flowers from their stems, leaving enough inches of stem. The crown has a heart shape (if you prefer, get yourself another with another design). 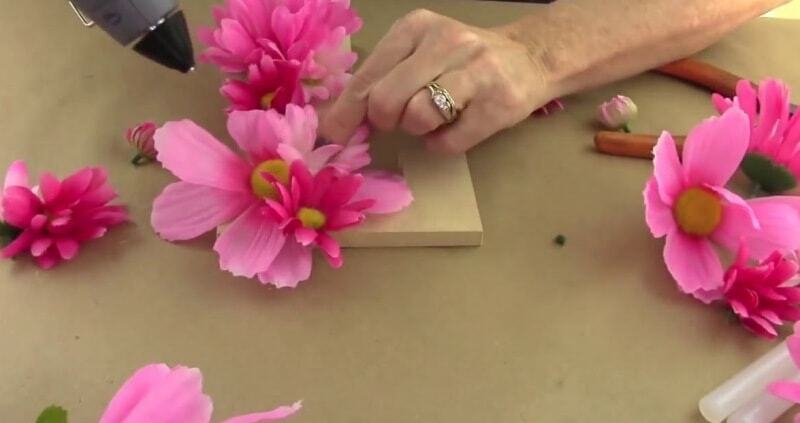 If you want the flowers to stay permanently, stick them on the structure with hot glue. If you think that later you may want to change the design you can hold them between the branches of your structure. Once you are clear about which flowers you are going to use and how the structure will be, you only need to start placing the flowers around. Here three different types of pink flowers have been used around the crown. Make sure that there are no gaps that let see in below. When you have your hearts of flowers. You only have to hang them on the wall of the room. With a small nail, it may be enough, although it will depend on how the crown is. 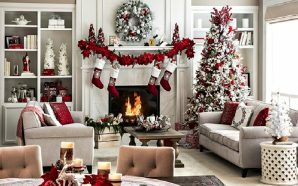 If you bet on an exclusive decoration for Valentine’s Day you can put them in the living room decorating the area where you will spend a romantic evening, for example. If you want to leave them fixed, choose the place you like most to take the flowers and the color to your wall.